The Adventure of the Musgrave Ritual is one of the most famous stories from Sir Arthur Conan Doyle. The Adventure of the Musgrave Ritual is a short Sherlock Holmes story set in a time before Holmes had met Watson, and sees the detective undertaking a treasure hunt. The Adventure of the Musgrave Ritual was written by Conan Doyle for publication in the May 1893 edition of the Strand Magazine; and was published a month after The Adventure of the ‘Gloria Scott’. 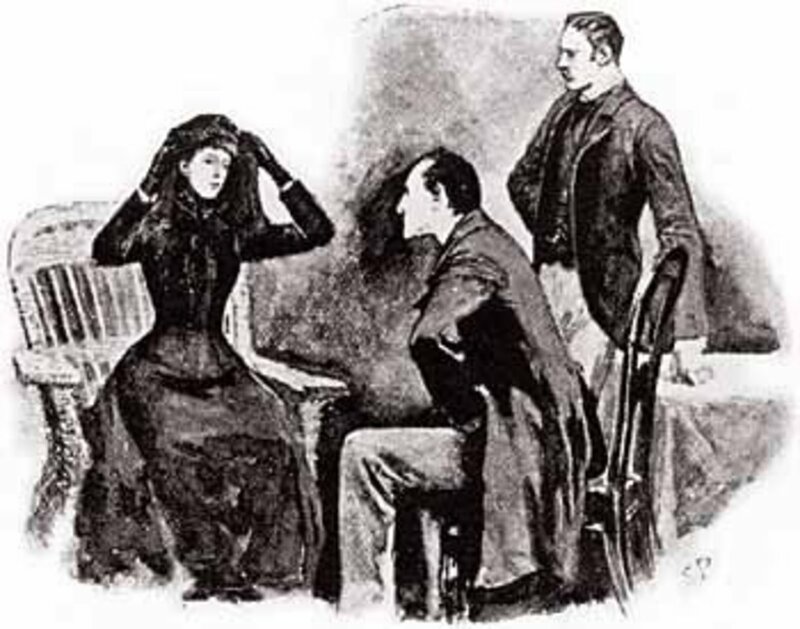 Later in 1893, The Adventure of the Musgrave Ritual would also appear as one of the short Sherlock Holmes stories in the compilation work, The Memoirs of Sherlock Holmes. The Adventure of the Musgrave Ritual in essence sees Holmes looking it to the disappearance of two servants, but more excitingly, looking into the meaning of the Musgrave Ritual; the Musgrave Ritual being a recital of seemingly meaningless phrases. The ritual of course turns out to be directions for a treasure hunt, and perhaps it is because almost everyone enjoys the thought a treasure hunt that sees The Adventure of the Musgrave Ritual constantly rated amongst the best Holmes stories. Indeed, Sir Arthur Conan Doyle in 1927 would rate the story amongst his 12 best. In the preceding few Sherlock Holmes stories, Conan Doyle had started to repeat some features of the detective’s cases, but although The Adventure of the Musgrave Ritual is told from the perspective of Holmes, just as The Adventure of the ‘Gloria Scott’ had, the story itself is new and different, reinvigorating the canon. The fame of The Adventure of the Musgrave Ritual is famously helped by the fact that it was adapted for film and television. The story forms the basis for Sherlock Holmes Faces Death, starring Basil Rathbone, although the storyline is heavily adapted, with even the ritual now representing a chess game. 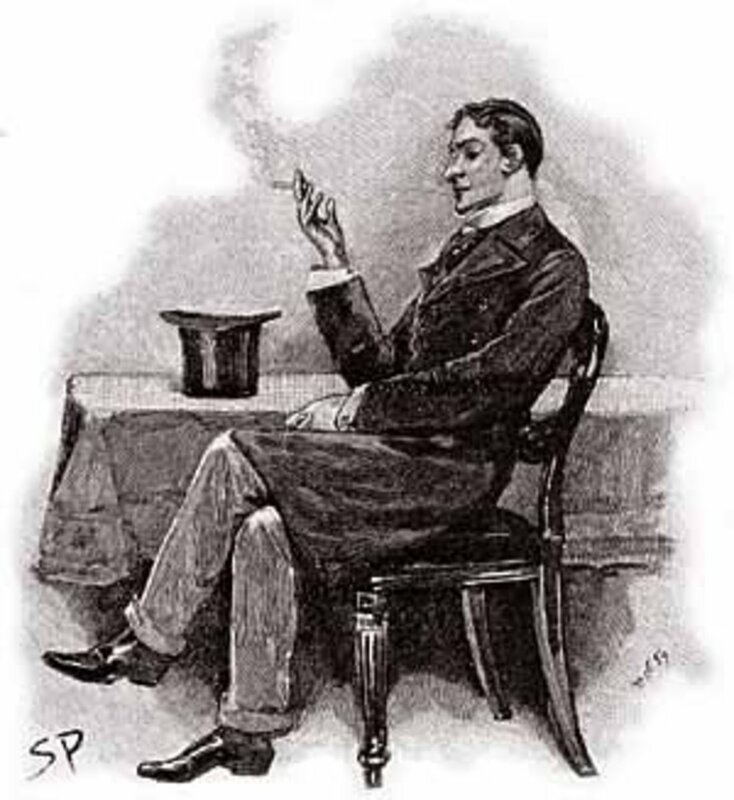 A closer adaptation would occur when Jeremy Brett would star as Sherlock Holmes for Granada TV. The Granada production of Sherlock Holmes adventures is famous for keeping with the original Conan Doyle storylines, but in the case of The Adventure of the Musgrave Ritual changes are made. A major one is the inclusion of Watson in the adventure, and there are also minor changes to the wording of the Musgrave Ritual, but nevertheless the story is relatively close to the original. 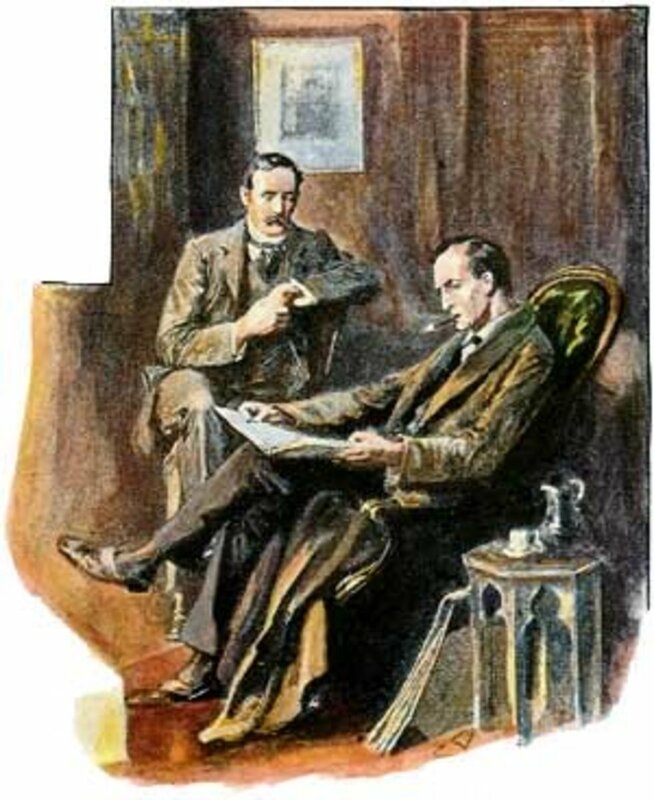 The Adventure of the Musgrave Ritual commences with Sherlock Holmes telling Dr Watson about one of his earliest cases; Holmes reciting the tale to distract Watson from the doctor’s demand that Holmes should tidy up his scattered papers. 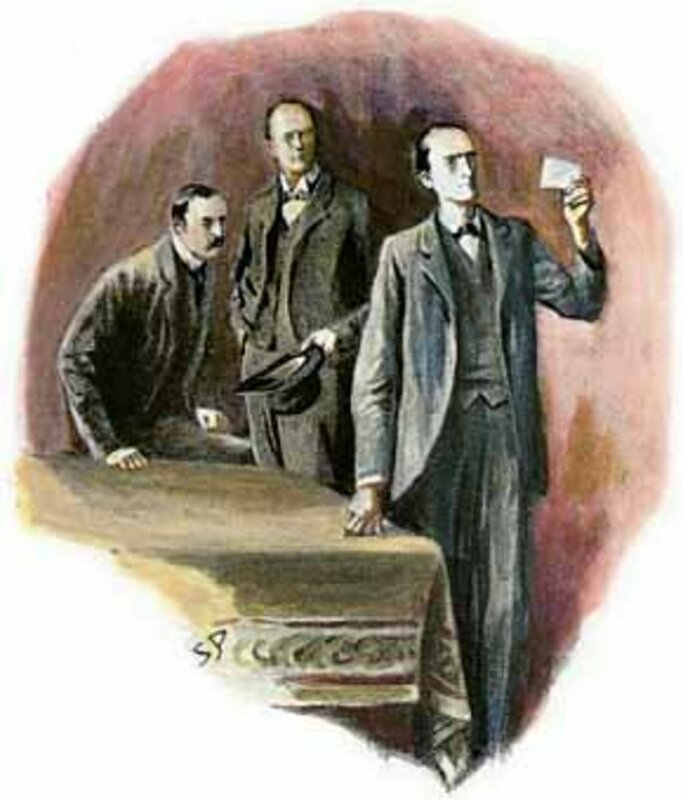 Holmes makes mention to several cases, pointing out that various notes to these cases could be found in the boxes in the room; but goes into detail about the Musgrave Ritual. Having left university, Holmes had set himself up in business as a consulting detective, and was making a small living from the business. In this start-up period, one of Holmes’ earliest clients would prove to be Reginald Musgrave. 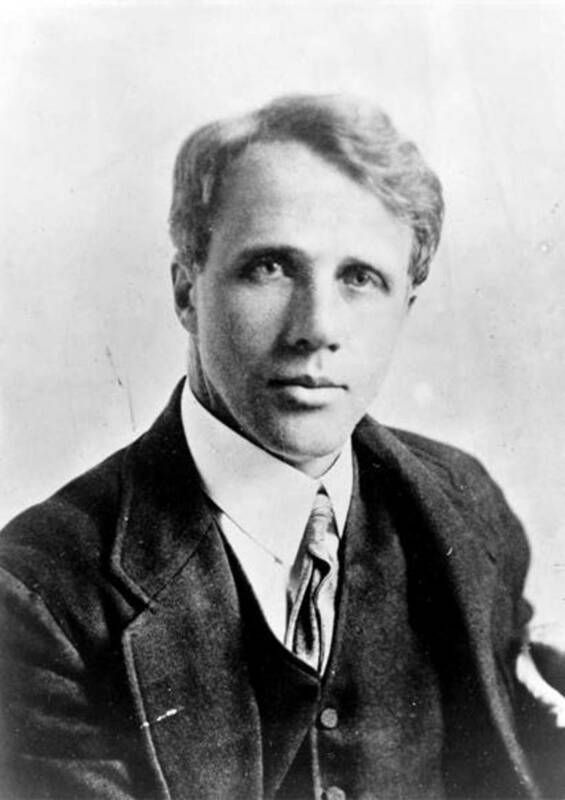 Musgrave and Holmes had been at university at the same time, and were casual acquaintances. Musgrave himself was a member of one of the country’s oldest established noble families. Reginald Musgrave came to Holmes with two problems; the problem of two missing servants from the Musgrave estate, and also the puzzle that was the Musgrave Ritual. The two missing servants were the butler, Brunton, and a maid by the name of Rachel Howells. Brunton had been with the Musgrave family for a number of years, having previously been a school teacher. Brunton had a reputation as that of a ladies man, and had previously been engaged to Rachel Howells, but the engagement had been broken when Brunton had dumped Howells for another maid. Musgrave though had fired Brunton subsequently, when he found his butler rummaging through papers that had previously been in a locked cabinet. These papers included those linked to the Musgrave Ritual. Although Brunton had been fired with immediate effect, Reginald Musgrave had had a fit of leniency, and had allowed the butler to resign, although Musgrave stipulated that Brunton should be gone within a week. Reginald Musgrave then explained to Holmes about the family ritual, a verse dating back to the 17th century. All male members of the Musgrave family line were required to learn the verse from an early age. 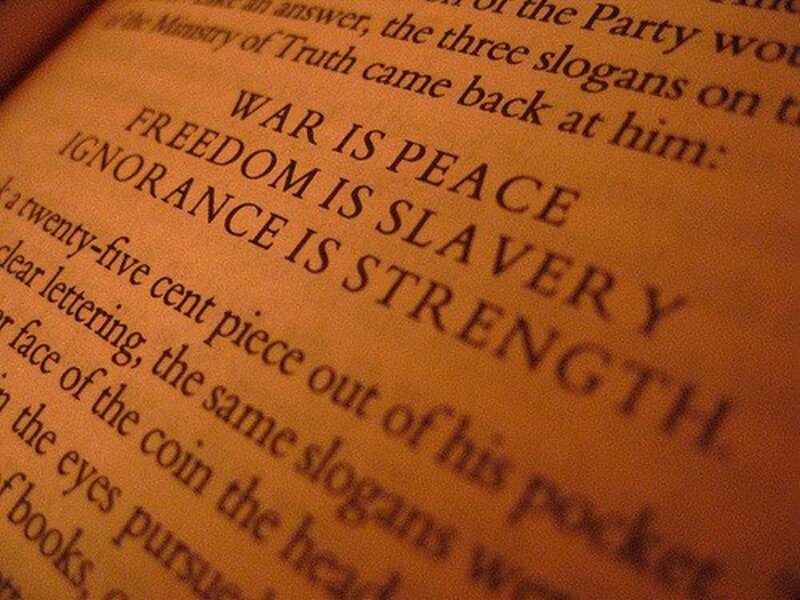 Despite every male learning the ritual, no Musgrave had knowledge of what it actually means. Shortly after being “fired”, Brunton disappears from the Musgrave estate, leaving behind his possessions, and this disappearance seems to affect Rachel Howells badly, for the maid seems to have had a mental breakdown. Howells herself then disappears, and the theory is that she had killed herself in the nearby mere. The mere is dredged, but no body is found, although the dredging does produce a sack containing some old metal and coloured stones. Holmes then accompanies Reginald Musgrave down to the Hurlingstone estate and the old Musgrave manor house at its centre. 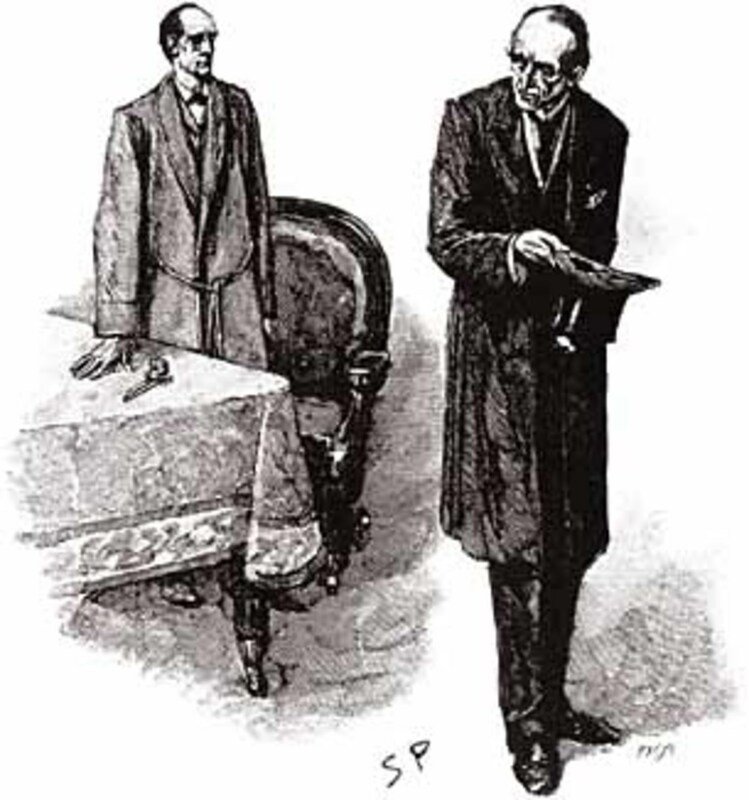 Holmes realises that the Musgrave Ritual is a set of directions that have to be followed, and the detective also realises that Brunton must have also figured this out. Holmes’ theory is confirmed when he discovers that Brunton had been trying to find out the height of an old elm tree that had once stood in the grounds of the estate. Luckily, it is a height that Reginald Musgrave actually knows, for it had once been a maths problem set by a tutor in his youth. 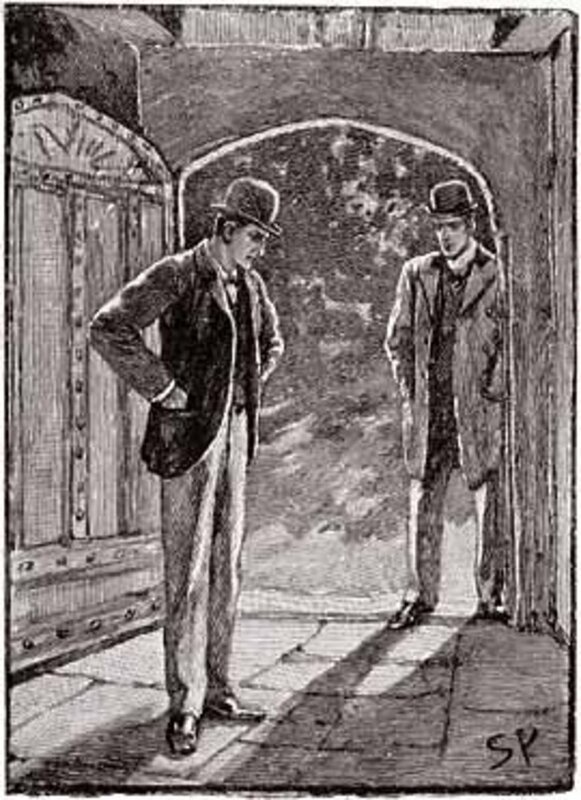 Making use of the position of the elm tree and oak tree allows Holmes to follow the directions set down in the Musgrave Ritual, and soon the detective finds himself in a cellar beneath the old house. There he finds a stone slab with an old iron ring embedded in it; and by looking at the ring it is evident that it has been used recently. Lifting up the stone slab even a few inches requires all of the strength of Holmes, and one of the local policemen. Beneath the stone slab is a small cavity, and within the cavity is the body of the suffocated Brunton. All is now clear to Holmes, and he explains all to Reginald Musgrave. Brunton during his period of employment had discovered that the Musgrave Ritual was a treasure map, a map to something extremely valuable. Brunton’s dismissal from the estate had given him only a few days though to get his hands on the treasure, and so he had enlisted the help of Rachel Howells. Brunton was of course under the mistaken belief that the maid was still in love with him; although the very opposite was true. Brunton had got into the cavity and had passed the contents of it to Rachel Howells, but before the butler could exit the hole, the supports keeping the slab upright had given way, or had been kicked away by the maid. 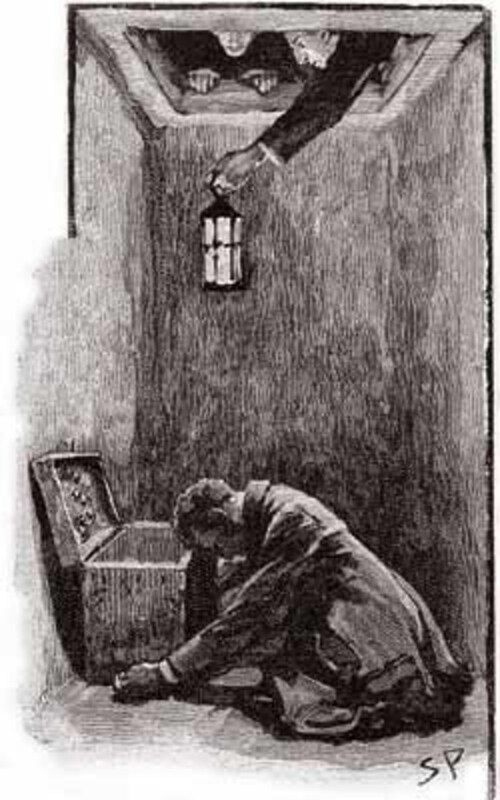 Holmes also has a theory about what was hidden in the cavity, and asks to see the sack and its contents, which had been dragged from the mere. Holmes cleans up the metal and stones, and reveals a gold crown, deducing that it had once been a crown of King Charles I, as the ritual dates from that period. It was likely that a Musgrave had been entrusted with the crown during the English Civil War, but had been killed before King Charles II had been crowned. The Ritual was all that was left to allow for the crown’s finding, but its meaning had never been passed on. Holmes also suggests that rather than kill herself, Rachel Howells had probably left the country to start a new life. 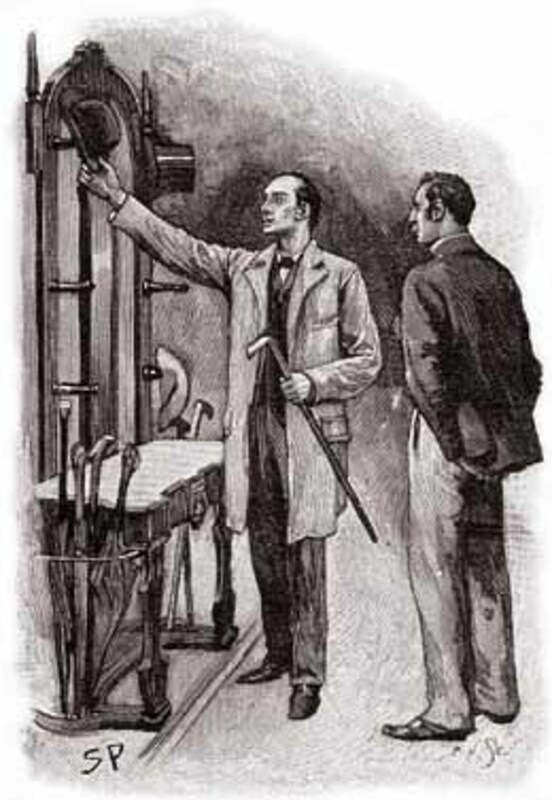 Holmes brings his recital of the case to a close by telling Watson that the crown is still on the Musgrave estate, although not on public display, but if the doctor wishes to see it, then it can probably be viewed as a favour to Holmes. Why does Rachel throw the bag containing treasure into the river in the story "The Adventure of the Musgrave Ritual"? 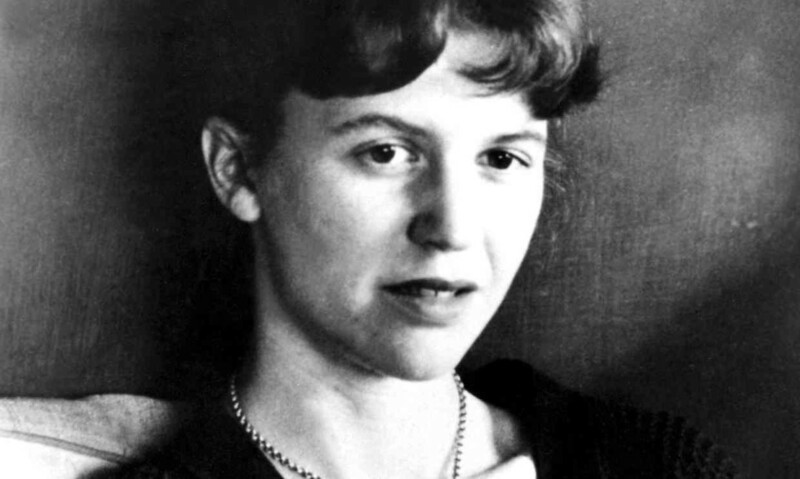 People tend to think that Rachel should have taken the treasure, but Rachel was not concerned about materialistic things but was intent on revenge on the man who had done her harm. Why did Musgrave dismiss Brunton in "The Adventure of the Musgrave Ritual"? Brunton was Musgrave's butler, but when Musgrave found Brunton rifling through a previously locked cabinet, Musgrave decided Brunton needed to be dismissed.